The term “official” is used because there are no strict limits as to when an institution can or cannot trade any specific currency. However, the above “official” times can be used as a fairly accurate set of guidelines. 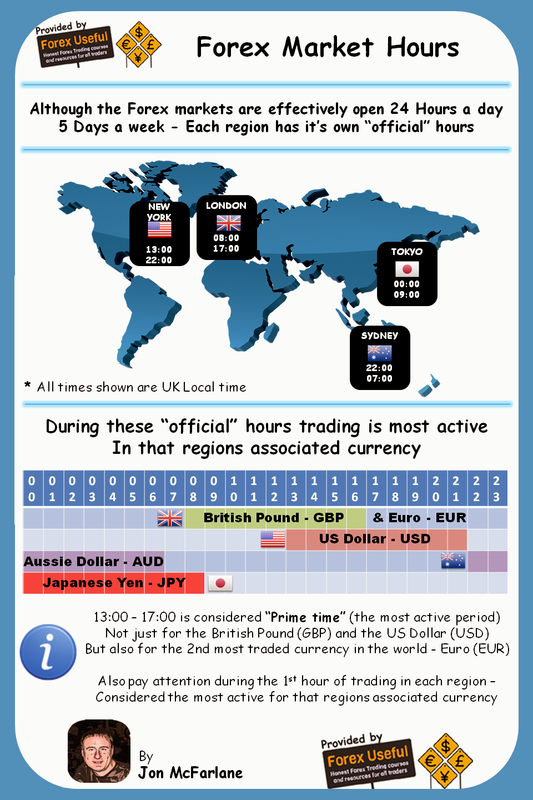 13:00 – 17:00 is considered “Prime time” as this is when 3 of the most popular currencies (USD, EUR & GBP) are all being actively traded. It is also important to pay particular attention during the 1st hour of each session as the markets are more volatile for the currencies in their respective regions.